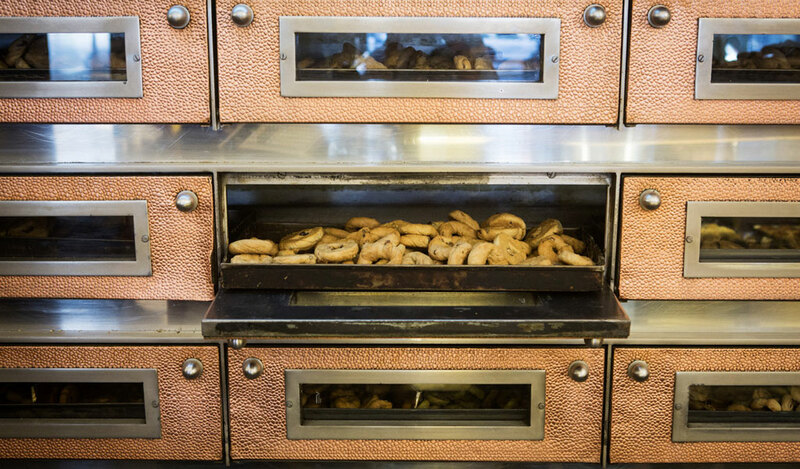 Editor’s note: This is the final installment of “Best Bites of 2013,” a roundup of our top culinary experiences over the last year. Be sure to check out the “best bites” in all the other cities CB covers. We were strangers in a strange land – eastern Turkey’s Erzincan, to be exact – and Yalçın Kaya welcomed us into his cheese shop with such gracious fervor that it didn’t surprise us to find out that this Anatolian cheesemonger moonlights as an imam. “Have you had breakfast?” the mustachioed Kaya asked. Before we could answer, he zipped out, leaving us to quietly contemplate the shop’s glass-lined coolers and their shelves loaded with plastic containers filled with tulum, the salty, crumbly raw sheep’s milk cheese for which Erzincan is famous. Kaya soon returned, holding just-bought packages of Styrofoam plates and paper napkins and a stack of freshly baked thin flatbread. He quickly arranged a tempting impromptu spread: chunks of tulum from a newly opened container on one plate, wildflower honey poured from an unlabeled jar on another, with the flatbreads and freshly poured glasses of tea on the side. Per Kaya’s instruction, we tore off pieces of the almost paper-thin bread, alternating between wrapping them around pieces of the pleasantly sharp cheese and using them to scoop up the fragrant honey. It was a simple but unforgettable breakfast, every part of it blessed and elevated by the same unmistakable ingredient: genuine hospitality. At Nicole, a high-end rooftop restaurant in Beyoğlu, Chef Kaan Sakarya takes the menu’s seasonal changes very seriously. Conceiving new menu items, as he describes it, sounds something like childbirth, with all of the fear, anticipation and euphoria that follow. We were particularly struck by a recent arrival, an autumnal salad made of meticulously styled carrots, beets and radishes that formed an earthy nest for roasted chestnuts, pickled mushrooms, walnuts, tangerines and pomegranate seeds. 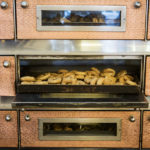 The creation was made complete with a plug of fig marmalade and flecks of aromatic smoked tangerine powder, which resembled the bright yellow tobacco from southern Turkey’s Urfa that’s sold loose on the street in Istanbul. We rarely eat food so delicately prepared and deserving of our full attention. 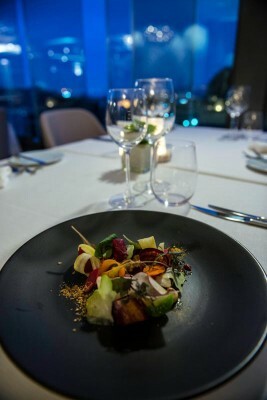 The salad was fragrant and reminiscent of the woods or a campfire thanks to a smoky plume sent up by a splash of Scotch in the dressing, the pickled carrots and mushrooms giving way with a zing, while the raw vegetables and nuts were well enough slicked in dressing to be rendered manageable with a fork. For us, the salad conjured the pleasure of visiting Istanbul’s weekly street markets as the seasons change, filling a bag with the season’s first tangerines, grabbing a handful of shelled walnuts, gratis. 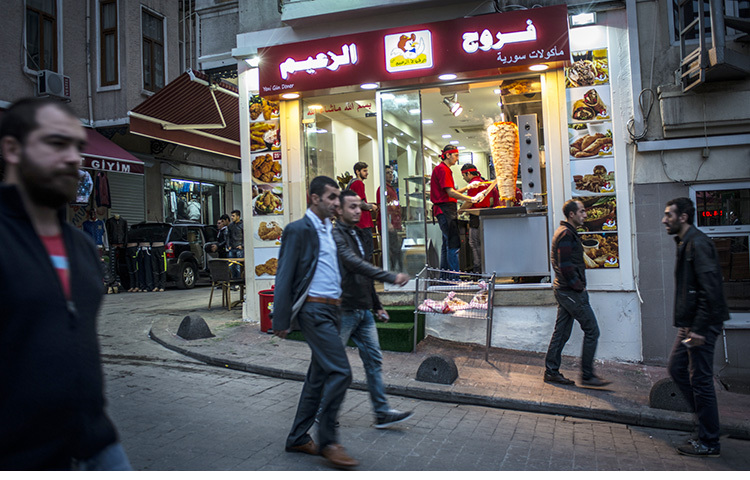 While on assignment in Gaziantep early this year, we survived for days on kebab alone. There was skewered liver first thing in the morning, followed by lunch at no fewer than two venerable kebab dens and then at least one dinner, once again, of grilled meat kebab. 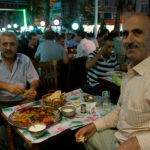 But the all-stars of Gaziantep’s culinary heritage – Ali nazik, simit kebap, küşleme, sebzeli kebap, kıyma kebap, and even keme kebabı – all blurred into background noise when we were introduced to soğanlı kebap at Şirvan Usta. The magic of this dish, a winter specialty of fatty ground lamb and small onions, takes place after it is grilled over charcoal. 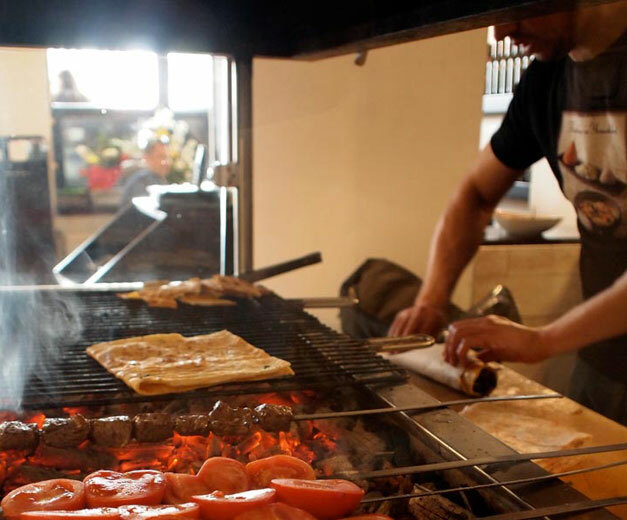 Şirvan Usta, a true Gaziantep kebab master, slid the contents of the skewer into a copper bowl, drizzled nar ekşisi (pomegranate molasses) around the rim and pressed a lid over it tightly before pushing it back into the ashes beside the fire. 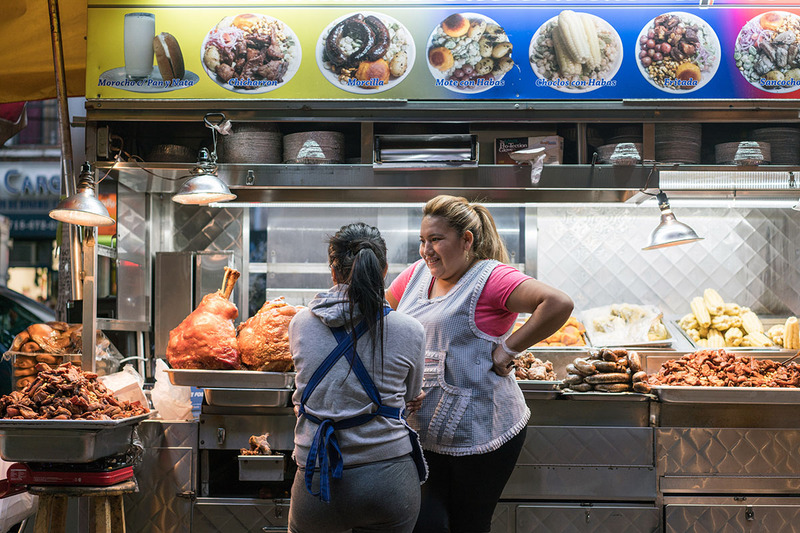 There it was left to sweat in the nar ekşisi, which blanketed plump bites of crispy grilled ground lamb and sweet onions in a sweet and sour perfume that still, thankfully, has not left us. 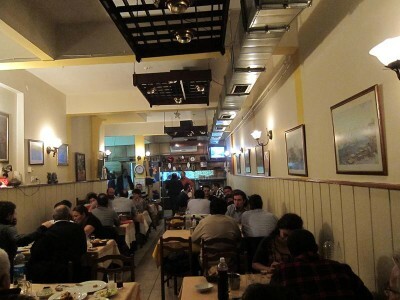 Since we started documenting the local dining scene in Istanbul, the most common criticism of our work has been that the food in restaurants cannot measure up to what is cooked in Turkish homes. Fair enough. 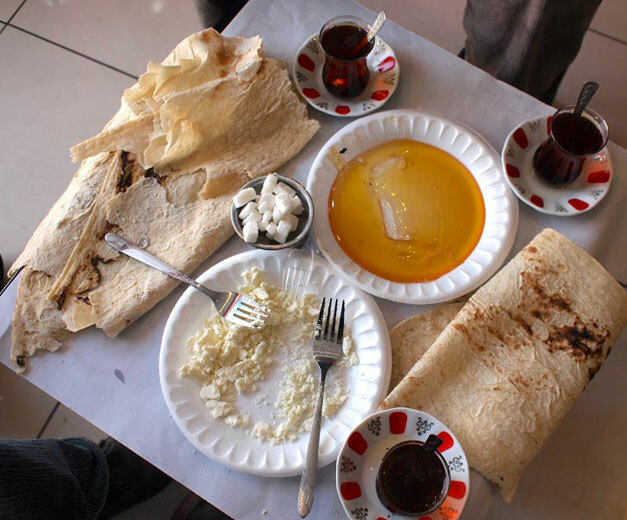 But as much as we’d love to chronicle (and sample) what’s for dinner in homes all over Istanbul, it wouldn’t serve our readers’ need to explore this city by eating out. Then, recently, as we started building a project working with Turkish home cooks, we were reminded of what we’d been missing. Sitting at our own kitchen table, we opened five or six Tupperware containers of food cooked by Umran Hanım, a retired math teacher from the Aegean town of Uşak. 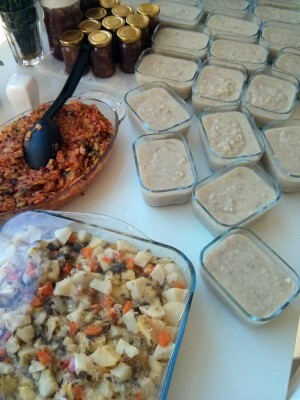 While the menu – including tarhana çorbası (a proto instant soup, made from vegetables and herbs mixed with yogurt and flour and then left to dry before being crumbled for storage), kabak kavurma (a sautéed squash stew) and a bulgur pilav with eggplant – referred to the traditional cuisine of her home region, there was a common spirit that ran through all of the dishes and that was the comforting touch of the home cook. 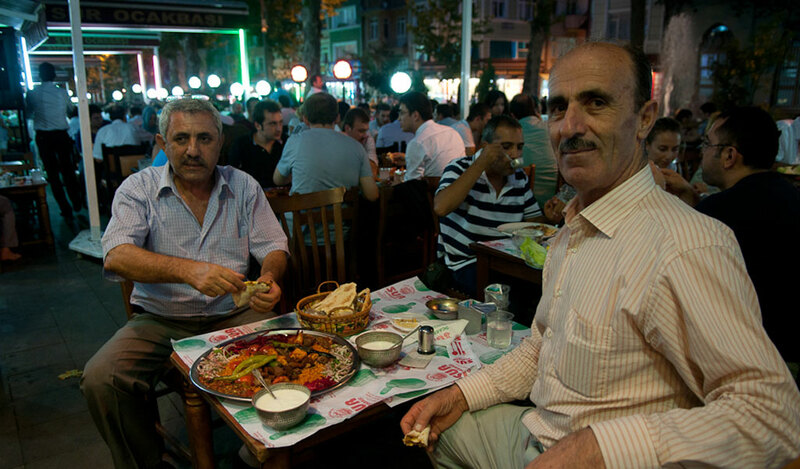 It is no secret that most Turkish restaurant food is made by men, trained by men in a fairly conservative master/apprentice system that produces the “ustas” whom we love to write about. 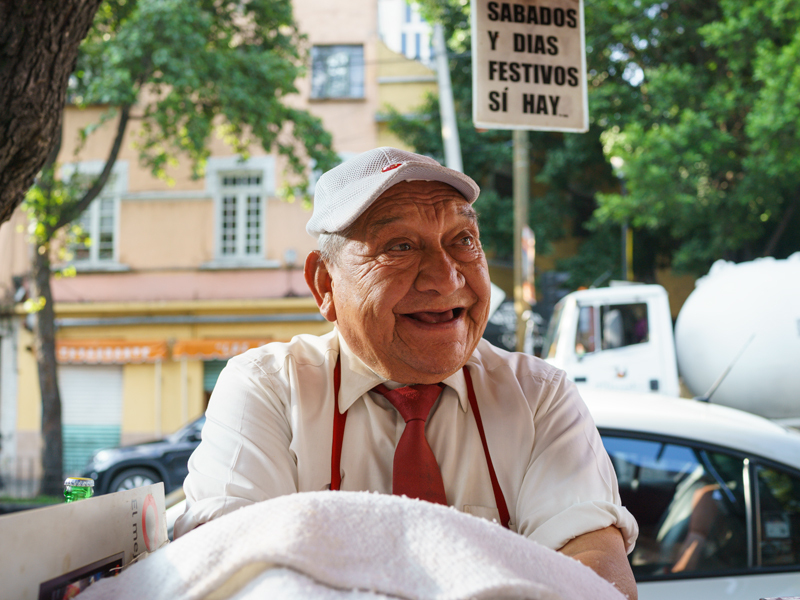 While the usta is an important factor in preservation, he is rarely flexible on ingredients or interested in spontaneity. Umran Hanım’s celeriac stewed in olive oil with a little twist of grated orange was an enlightening experience in our year of dining. We’d had plenty of similar dishes like this one in restaurants, but Umran’s stood out as something memorable. It reminded us that we may know dishes by their name but there are just as many varieties of that dish as there are stew pots in all of Anatolia. It’s a vast and varied region filled with bubbling pots that we are resolved to continue exploring in 2014. The Bosphorus Bridge connecting Europe and Asia is a lasting cliché for this city’s identity, but we’d like to elect a lesser-known but equally tantalizing perch from which to observe today’s Turkey: Birtat, a boxcar of a meyhane in the conservative Üsküdar district. Standing outside of Birtat, the historic Selimiye barracks – built in 1800 and today still an active base – are just to the left, while across the street are the dramatically lit domes and minarets of the Selimiye Mosque, constructed only a few years after its military neighbor. Inside Birtat, behind drawn curtains, we hear the laughter and clink of rakı glasses of a long meyhane night in progress. According to the law, written and unwritten, mosques and taverns don’t make good neighbors, and the military over the decades has proven itself to be something of a wild card. Despite it all, the triumvirate has peacefully coexisted on this quiet street for more than 60 years, a marvel of Turkish secularism, tolerance or stubborn perseverance. A quick toast to the survival of pluralism – perhaps fleeting – is reason enough to visit Birtat, but the wide variety of offal dishes, tripe, sweetbreads and particularly good sheep’s liver cooked in a clay pot gave our visit purpose beyond political statement.